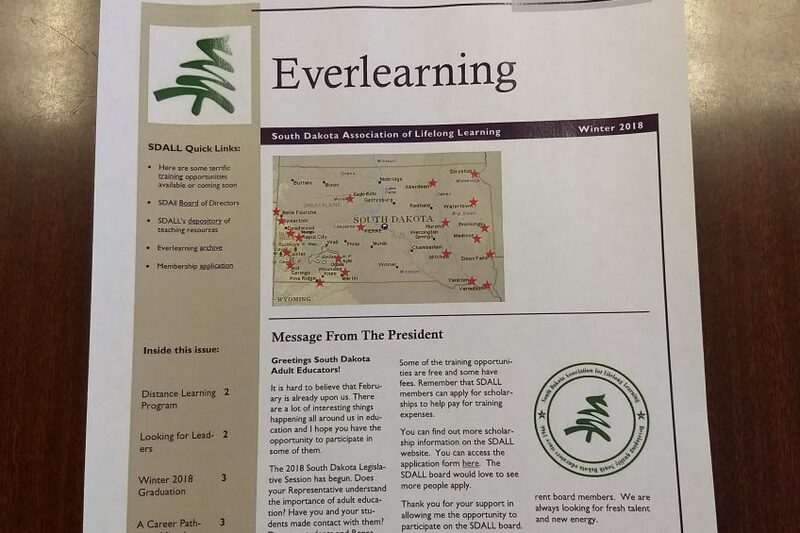 Everlearning is the newsletter of the South Dakota Association for Lifelong Learning. Please click on the links to read past issues. Share information and announcements with SDALL members by submitting articles through Contactsor by sending to a board member.